USA - Danley Sound Labs, manufacturer of innovative loudspeaker and subwoofer solutions for high SPL applications, hosted an ongoing series of training sessions for its growing team of international distributors. Key members of Finnish distributor LF Imports came to Danley’s Gainesville, Georgia headquarters in February, followed in March by members of Singapore distributor The Soundsmith and German distributor Carsten Eichstaedt-BLL-Veranstaltungstechnik. Participants engaged in critical listening exercises across a wide range of Danley products, from the flagship SH-50 loudspeaker and BC-415 subwoofer, to the company’s latest offerings, the lobe-free columnar SBH-10 Skinny Big Horn loudspeaker and the fully-weatherized OS-80 loudspeaker. Participants also learned the finer points of Danley’s free, easy-to-use DDT 2D & 3D system modelling software. "We are developing the international side of Danley and are actively seeking new distributors in key geographies around the world," said Jonathan "J.P." Parker, Danley’s director of sales. "We realize that education is critical because, although Danley gets a lot of favorable press, decisions are made on a project-by-project basis, and making decisions about audio is often subjective. 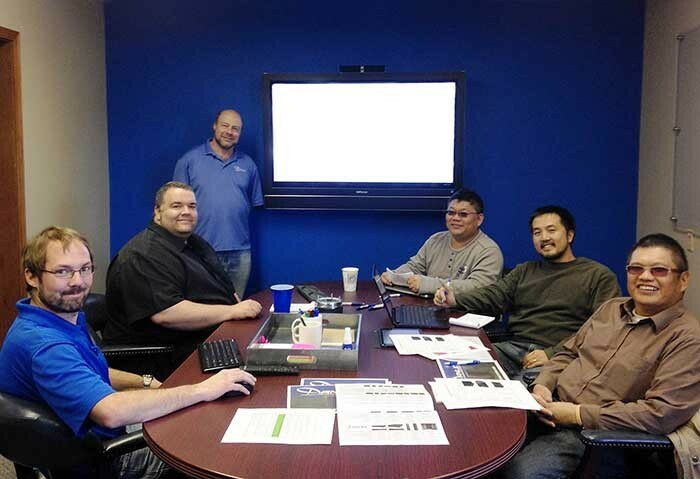 After going over the technology behind Danley’s product line, these training sessions give our distributors a frame of reference for the aspects of sound that they – and their customers – should be listening for. Once they have that frame of reference, it’s much easier to explain and show through a demo why Danley offers the better solution. We hope our international distributors can take that knowledge home and effectively convey it in their own culture and language." In picture: attendees around the table include, clockwise from left, Chad Edwardson – Danley; Carsten Eichstaedt – BLL-Veranstaltungstechnik; Ivan Beaver – Danley; Edwin Ng – The Soundsmith; Nicholas Loe – The Soundsmith; Choon San Ng – The Soundsmith; J.P. Parker – Danley (not pictured).